This houses the central heating boiler which also heats the water. By the time you visit there should be an additional large electric water heater. 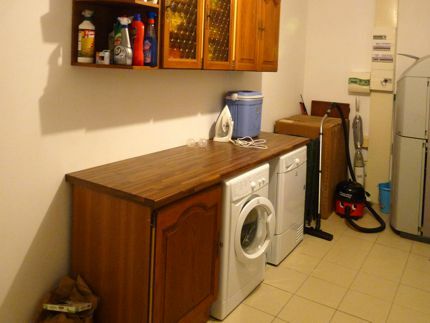 There's a washing machine, tumble dryer, ironing board, iron and drying frame. The machines are housed under a kitchen worktop and there is plenty storage space where you will find things such as cleaning materials, household supplies, spare light bulbs, etc. This is also where you will find outdoor games, parasols, tourist brochures and anything else we don't want to clutter up the rest of the house. The utility room also contains the electrical switch board. In our experience circuits are much more likely to trip in France than in the UK, partly because of the different way French systems are wired and protected (apparently it's safer) and partly because there are more electrical storms. It is very simple and safe to reset a circuit, hence mentioning it here. 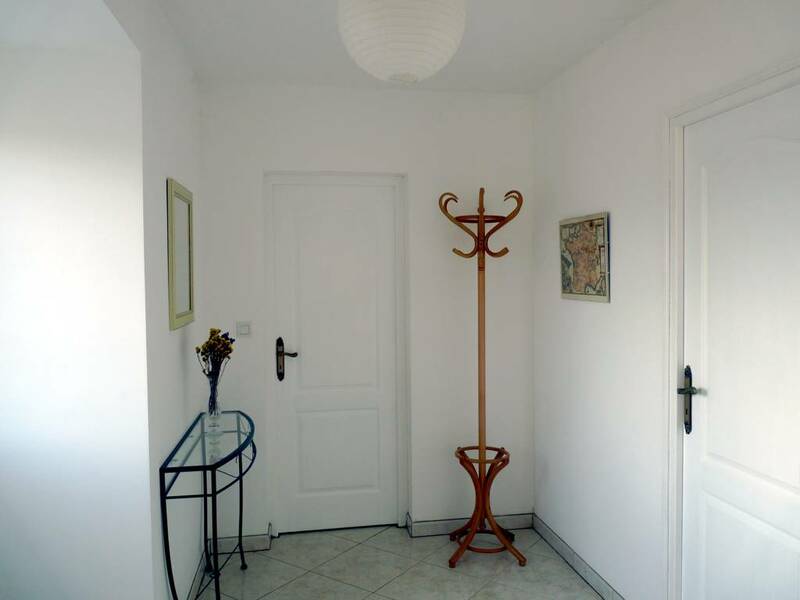 One on each floor, the downstairs hallway has a big coat rack and a door to the outside front of the house. The upstairs hallway is, er, just a hallway but there's a nice big glazed door which opens to the front of the house should you want to get a breeze through on a hot day. This door has electric shutters. Downstairs hallway leading to the utility room and bathroom/shower-room. There's a double-leaf door to the outside front of the house, easy for luggage, etc. 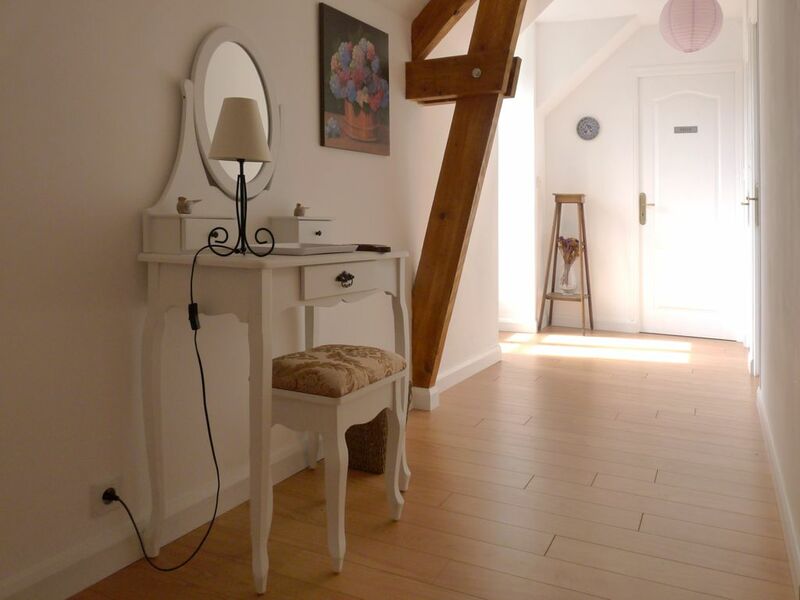 Spacious upstairs hallway with its dressing table, stool, mirror and lamp, to be shared between bedrooms 2 and 3. The hairdryer is stored in the bathroom.